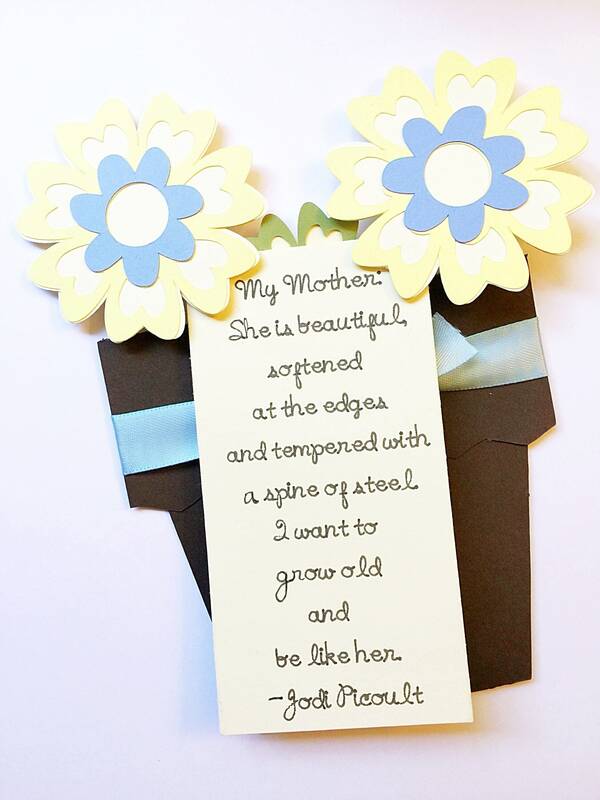 This very unique Mother's Day card gives you a card and gift in one. 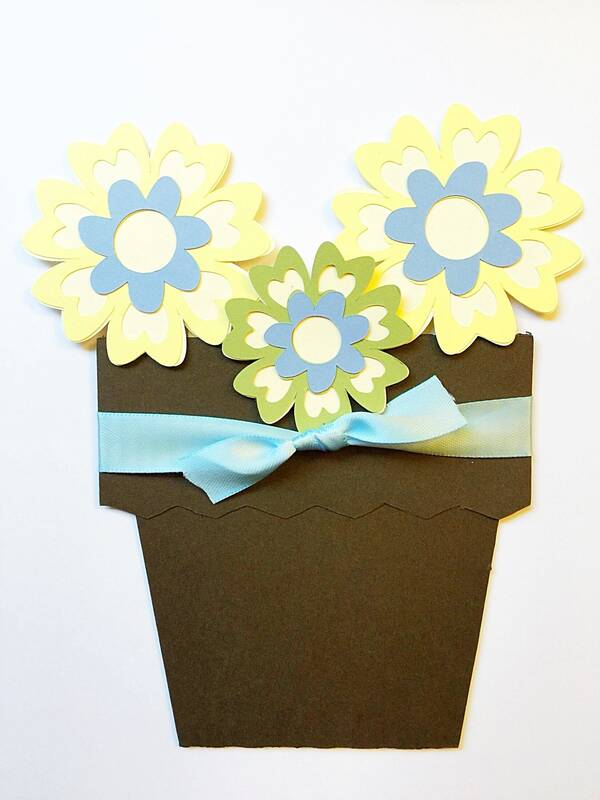 The flowerpot is an envelope for the 2 flowers card, which can be used as a bookmark. Great for gardening or bookworm moms. 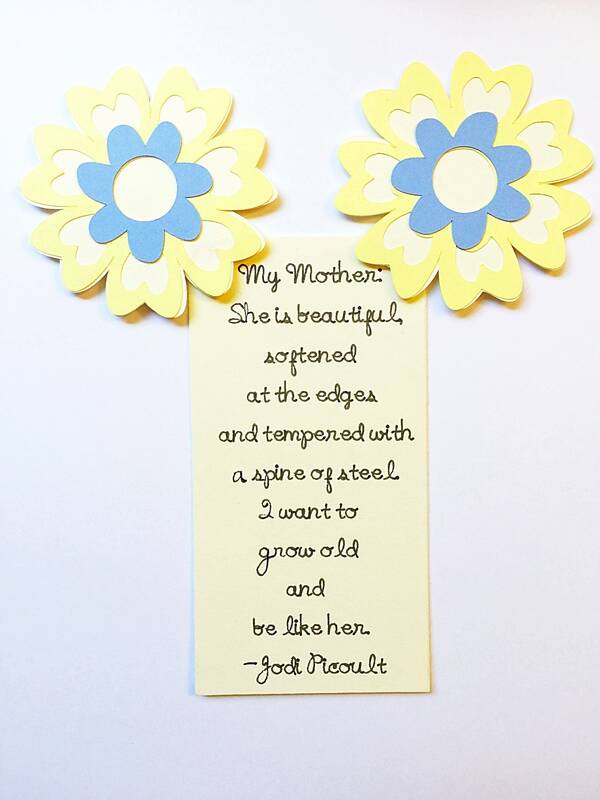 Give your darling mom this beautiful Mother's Day card this year. It is as unique and beautiful as she is. ✽ Size: 7.25 in. x 4.6 in. 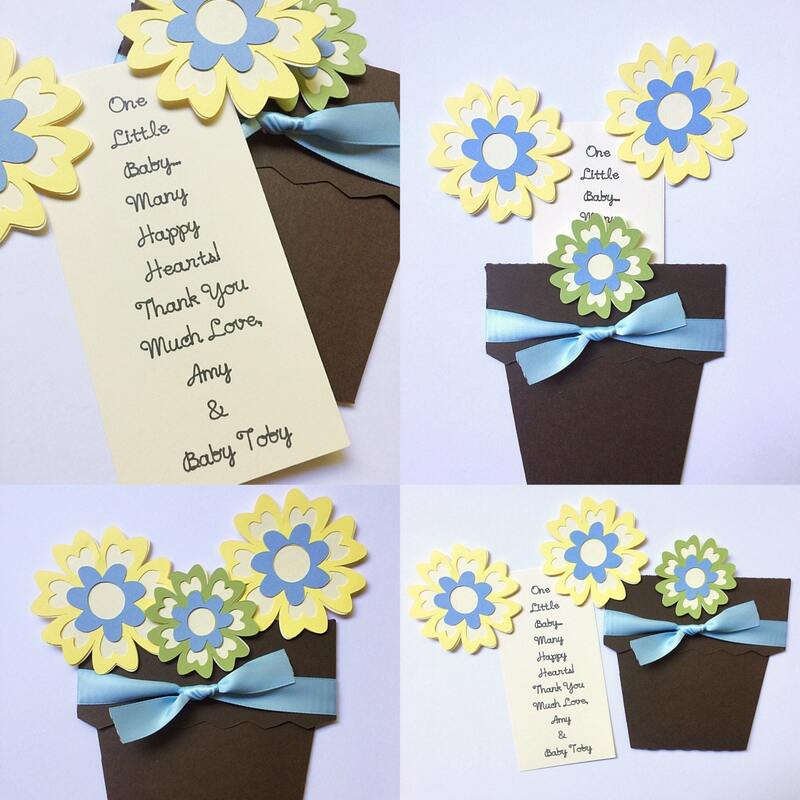 ✽ All my cards are 100% handmade, designed, hand stamped, hand cut, hand assembled and hand colored by me. 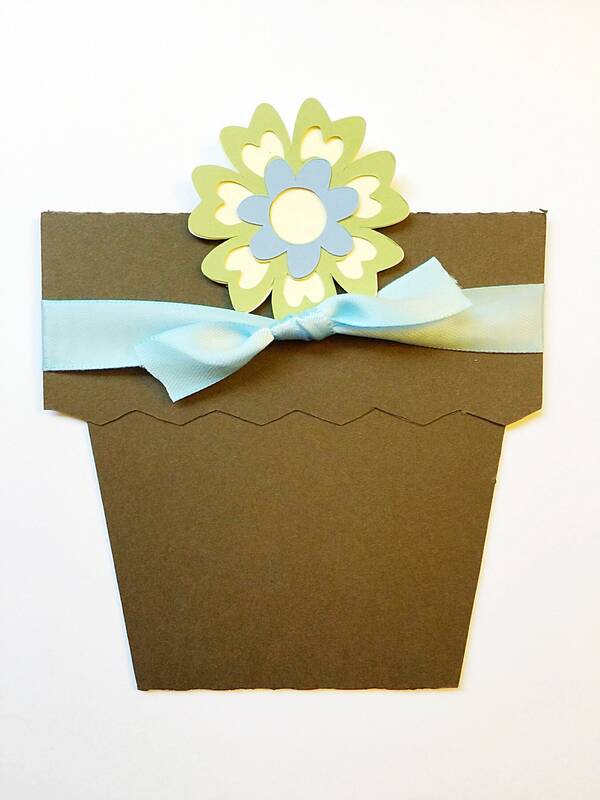 ✽ All cards are packaged in a cellophane sleeve and shipped in a bubble mailer or cardboard reinforced envelope to ensure the card arrives in excellent condition.